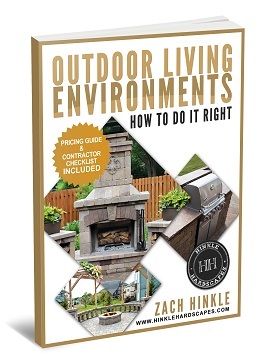 Hinkle Hardscapes > Blog > A Patio With A Fireplace & Fire-Pit! It’s no secret – we LOVE the outdoors! 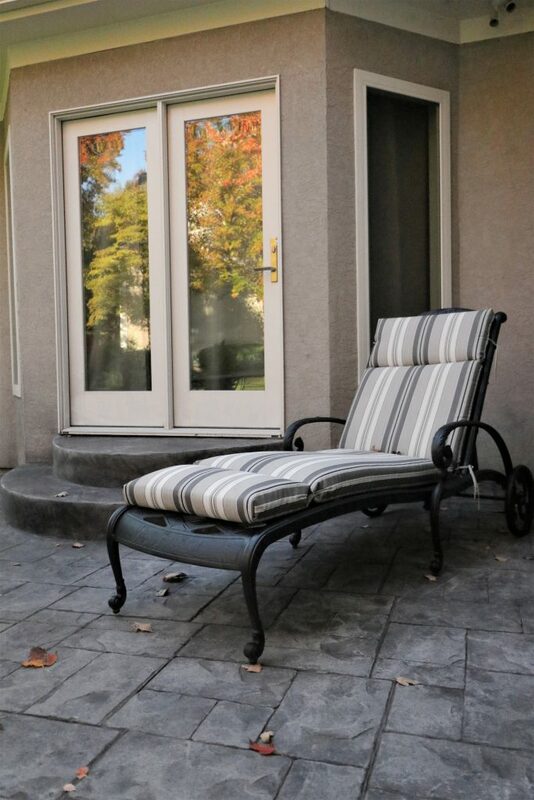 More specifically we love creating residential outdoor living spaces! 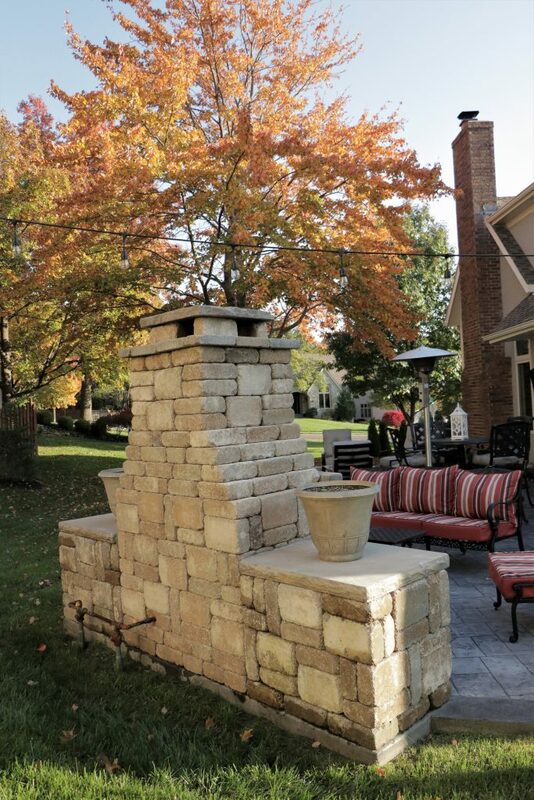 From patios, to pools, fireplaces, fire-pits, outdoor kitchens and pergolas, we offer custom hardscaping solutions for homeowners in Kansas City and the surrounding areas. 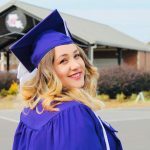 One of our recent projects turned out to be quite the show shopper! 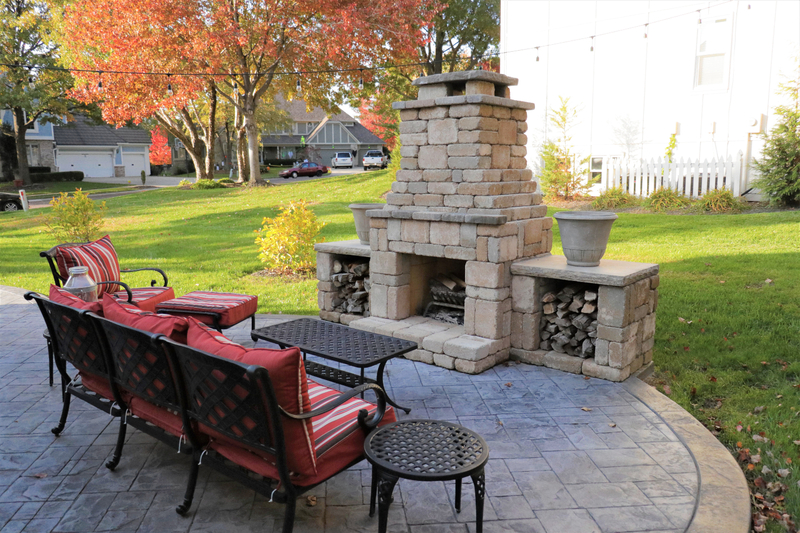 This Lenexa family has a loaded stamped concrete patio completed with a fireplace, wood storage boxes, fire-pit and seating wall! 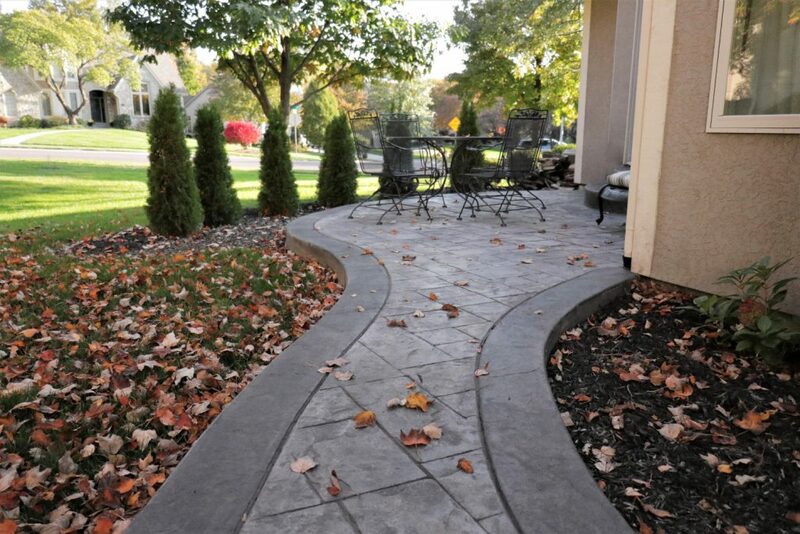 This stamped concrete patio wraps all the way around the backyard. The pathway you see here leads from the driveway to the back patio. 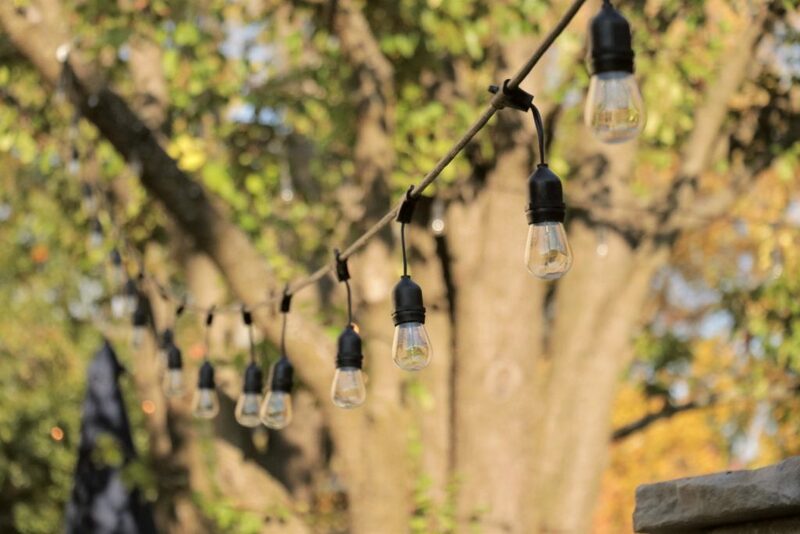 Lighting is a key element to any good outdoor living space. It ensures that you’ll be able to enjoy and entertain well into the evening! 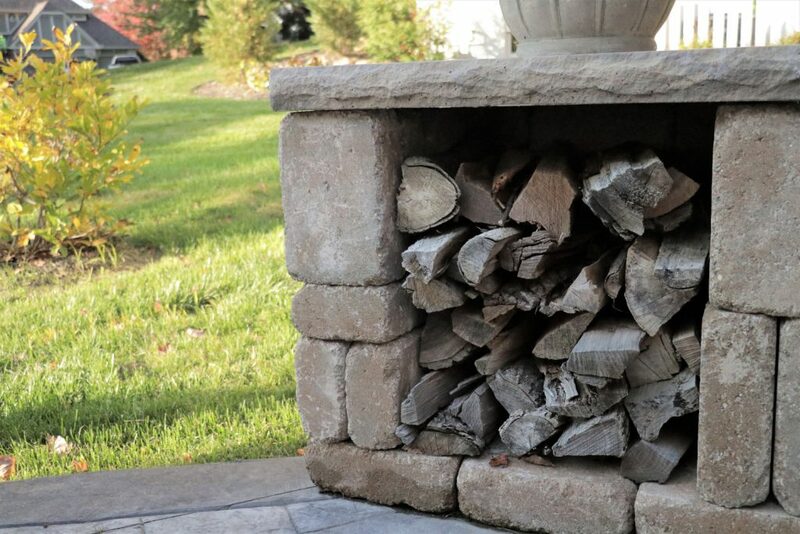 Wood storage boxes are a great addition to any fireplace project! They keep wood nearby, dry and ready to use at a moments notice! Concrete footings are poured under our fireplaces to make sure that they’re long lasting for years to come! You may have also noticed the gas line in the image above. Our fire features can also be built to be wood burning! 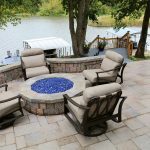 A fireplace definitely creates a unique and upscale look, but a fire-pit takes entertaining to the next level! 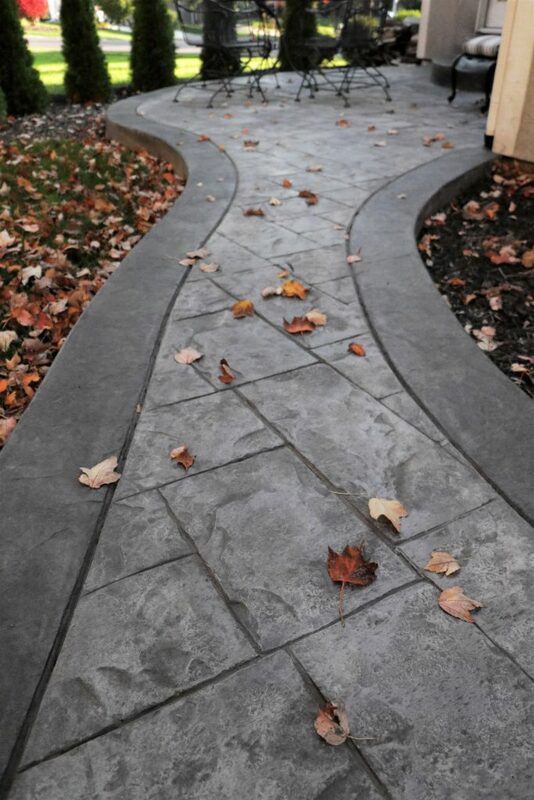 We love that these homeowners opted to include both of these features in their design. 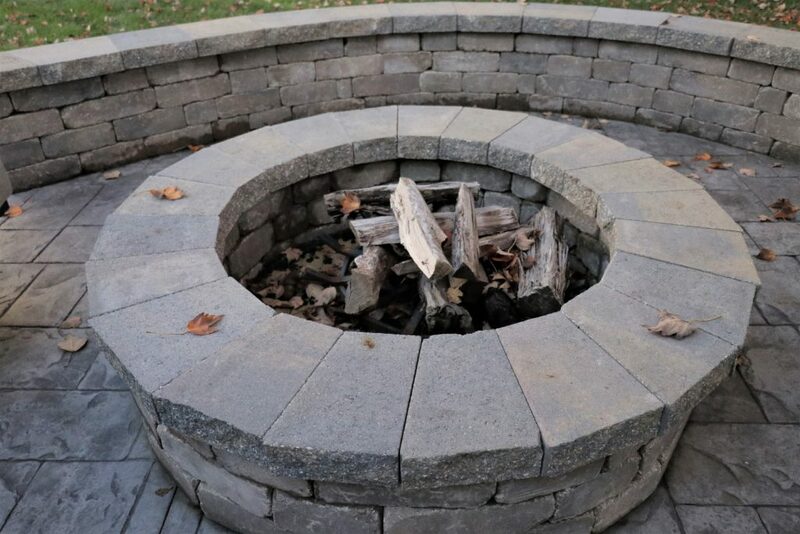 You can gather several people around a fire-pit. 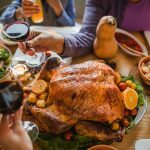 Not only does this make for great conversation, your guests can also partake in sing-alongs, ghost stories and roasting s’mores! Adding comfortable furniture is a great way to make your guests feel welcomed. These chairs were purchased from Nebraska Furniture Mart. 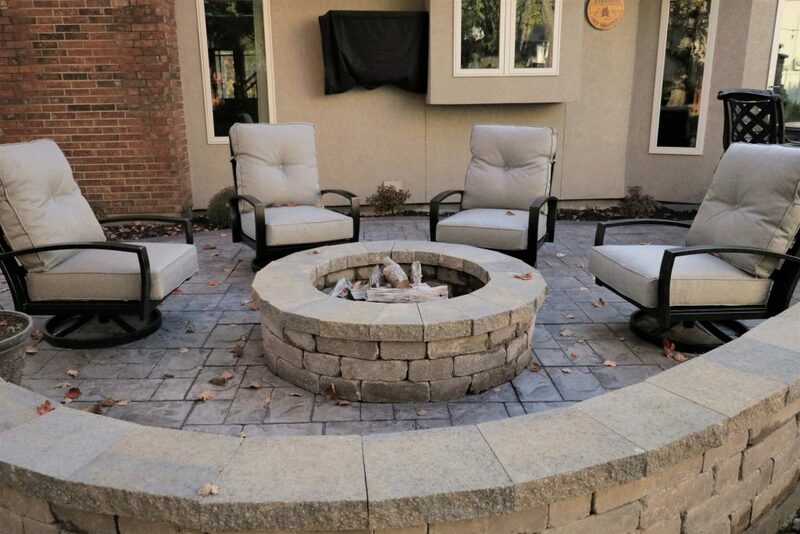 If you’re going to purchase a fire-pit, a seating wall is a great addition! 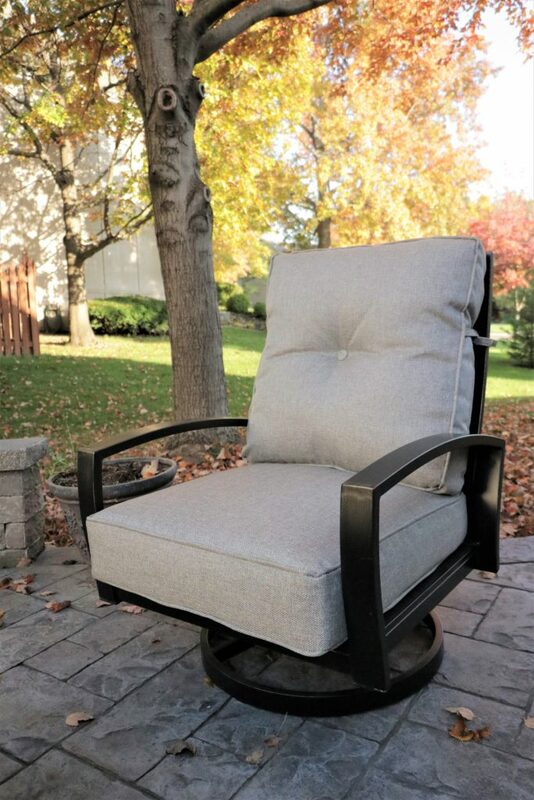 Not only is this a permanent furniture solution, you won’t have to worry about moldy wet cushions! 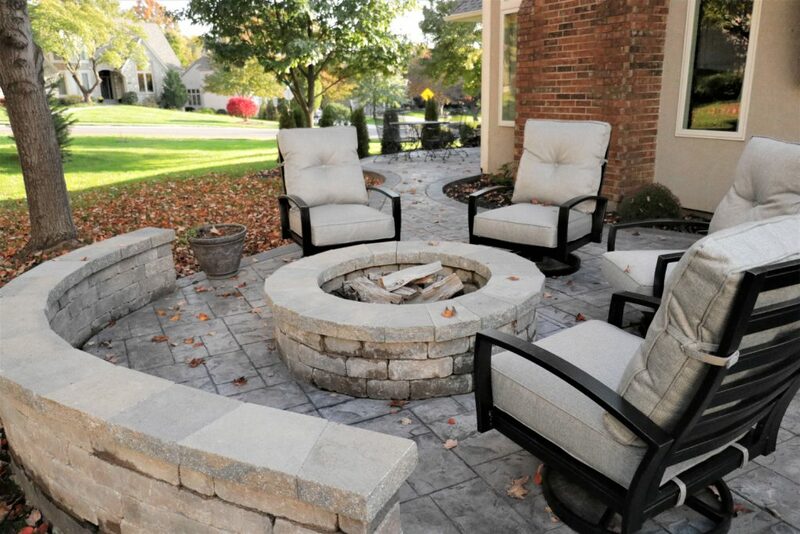 Our signature Weston Wall fire-pit is a favorite amongst our clients. 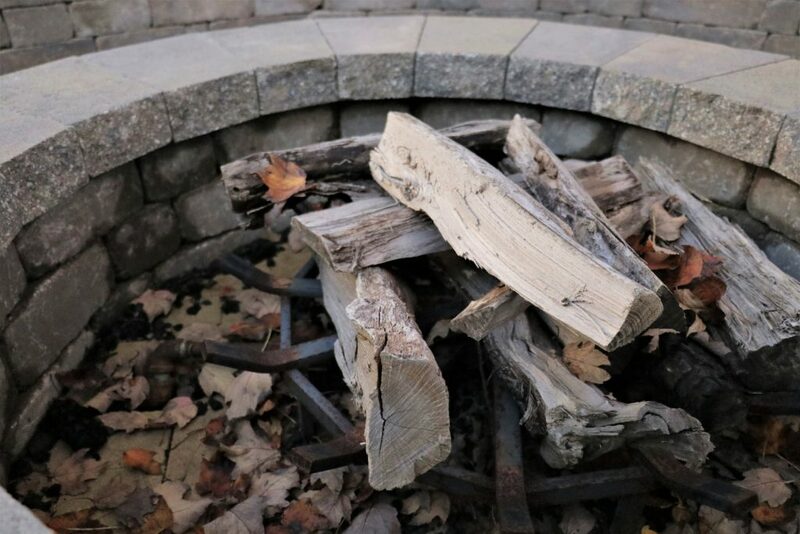 Like all of our fire features, it can be built as a wood-burning or gas element. Can you smell this photo? There’s really nothing like a good fire! We recommend adding a glass of wine and cuddling up with a book or your significant other! 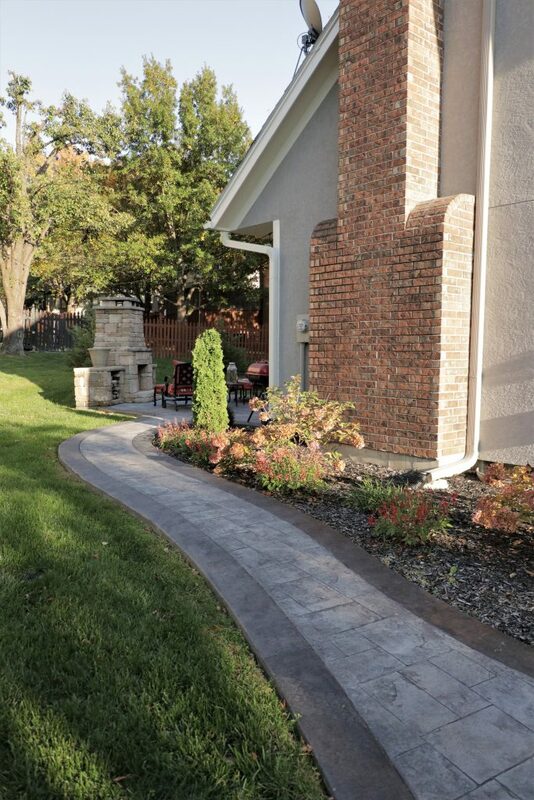 A walkway connects the backyard patio to a private area outside of the master bedroom. Adding tall trees around the patio creates a little privacy within the area. How adorable is this little breakfast nook? Morning cups of coffee on the patio must be spectacular! Steps were also added outside of the master bedroom. Outside the kitchen doors, there is an adorable bar-height dining area. 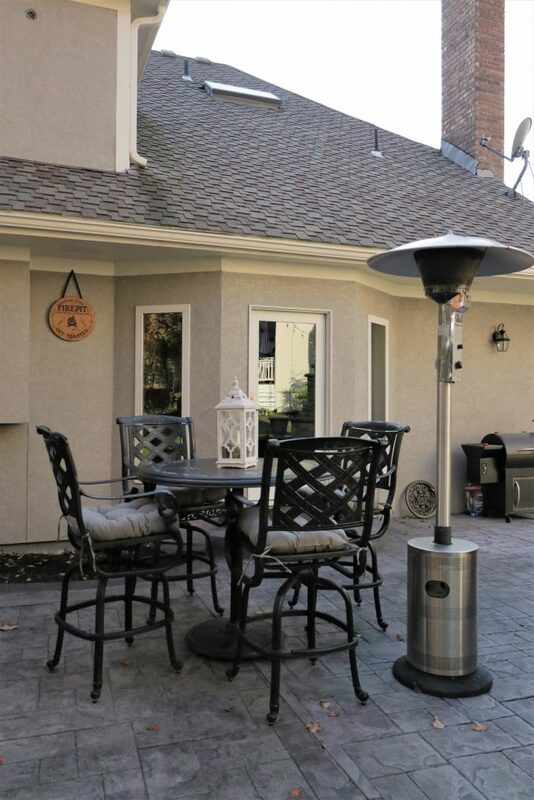 These homeowners even added an outdoor freestanding heater. 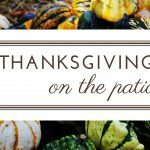 Now they can entertain on the patio just about year round! Haha! This sign gave us a chuckle. These homeowners sure have a sense of humor – which we love! 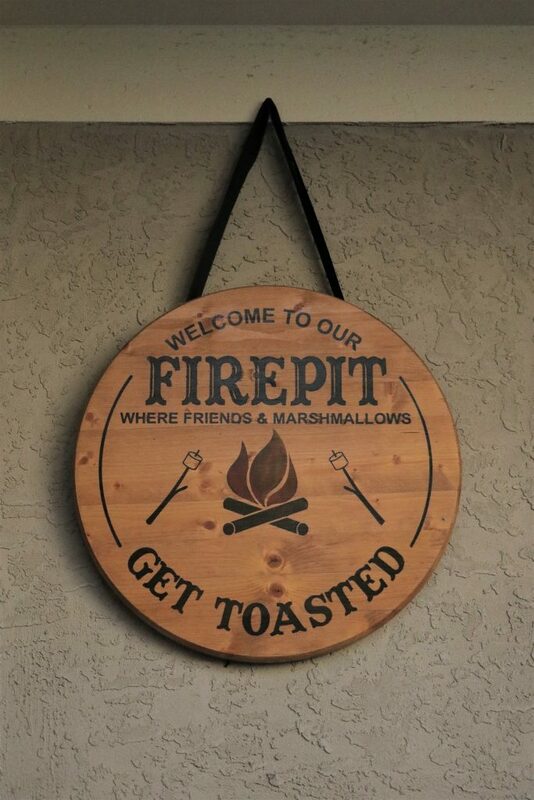 The sign reads “Welcome to our firepit, where friends and marshmallows get toasted” – what a hoot! 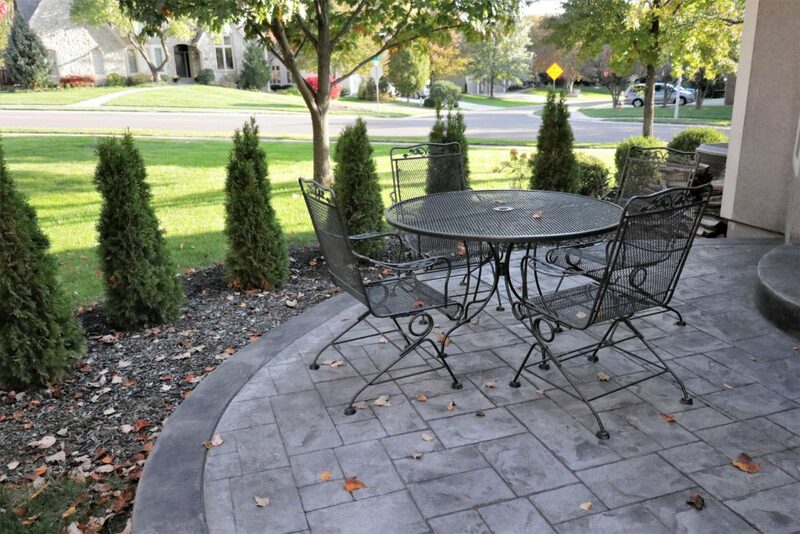 Ready to get your dream backyard started?! 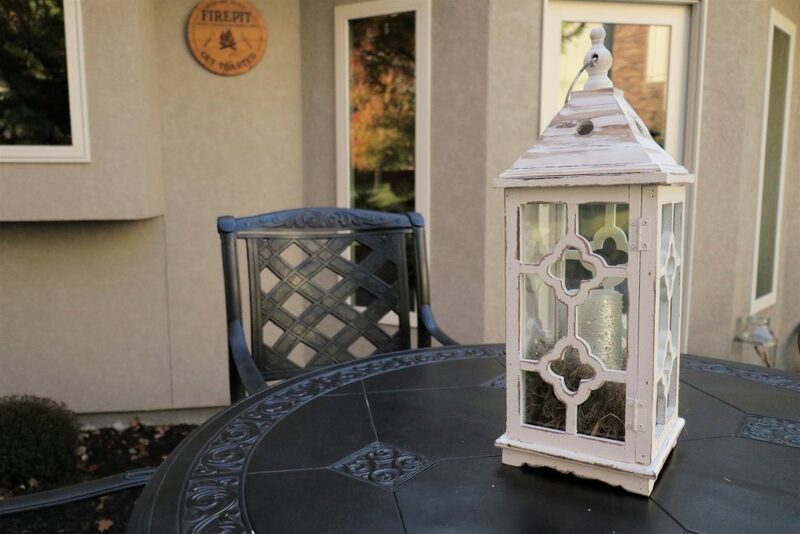 We’d love to design and build you a beautiful outdoor living space! Feel free to give our office a call at (816) 741-2035 or simply click the “Book Appointment” button on our website! Cheers to the start of your beautiful new hardscape project!